Make Your Orange County Long Distance Move a Breeze! The Challenge: Planning a long distance move from Orange County takes much more work and coordination than a local move. The schedules are tighter, the days are longer, and there are far more opportunities for mistakes. The Solution: Make a detailed timeline leading up to the move. Note tasks that must be completed and assign them deadlines. When planning the big day, coordinate with rental companies or movers to ensure that they know where they need to be and remain on schedule. If intensive planning gives you a headache, considering hiring professional Orange County long distance movers offering complimentary move management services to help you navigate the process. The Challenge: If you have a do-it-yourself personality, it’s tempting to tackle the packing on your own in order to scale back your budget. But, without proper packing techniques, this initiative could end up costing you. Imagine completing your long distance move only to realize that your valuables broke during transit! The Solution: Watch videos or read up on proper packing techniques and invest in professional moving supplies that will protect your items during your long haul. If you don’t have time to put your nose to the books, then full-service movers may be your ideal solutions. 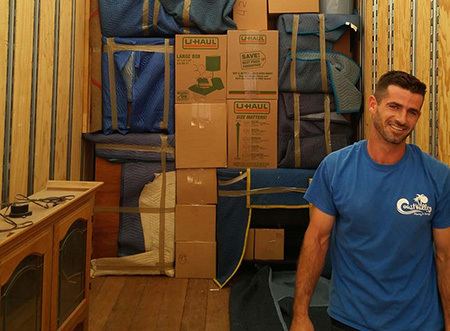 The Challenge: So you’ve decided to hire professional movers. Great! But, with so many companies to choose from, how do you find the one that’s right for you? The Solution: Finding a reliable Orange County long distance moving company may take a bit of research. Compare the services and added benefits offered by the area’s top movers and check out their review sections. Look for a professional company that is backed by decades of experience and has a track record for providing remarkable service. If you’re ready to lift the weight of your next move off your shoulders, contact Coast Valley Moving & Storage. Give our Orange County long distance movers a call or fill out our online form to request a free, in-home estimate today.